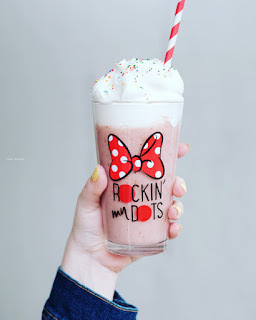 National Polka dot day comes around every January and Minnie Mouse is famous for rocking the dots in her signature red dress with white polka dots. Did you know there are several ways you can also rock the dots year round? 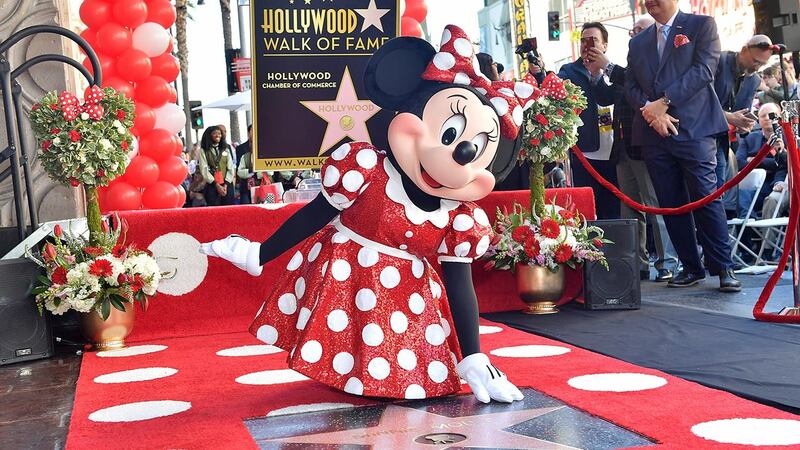 It certainly was an extra special National Polka Dot day this year on January 22nd, 2018 as I watched a live stream video of Minnie Mouse rocking her signature look on the red carpet in Hollywood. Congratulations Minnie for getting that fabulous star on the Hollywood Walk of Fame! 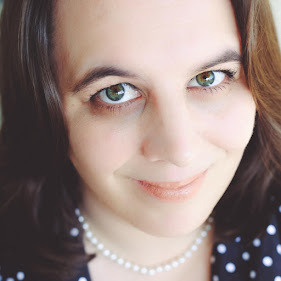 There are several ways you can also rock the dots year round. Many people wear polka dots in a big bold way in their clothing, home decor or other accessories, while others prefer to wear it in subtle statement pieces like their shoes. 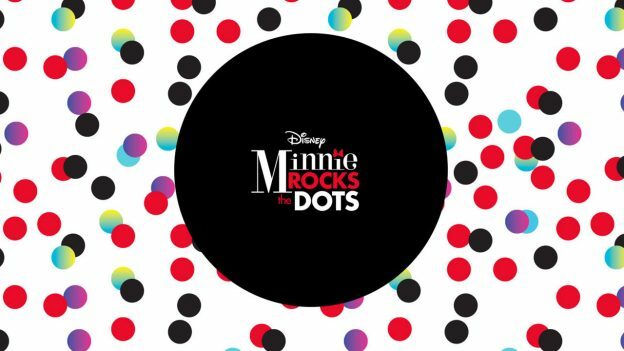 New balance recently released a Minnie Rocks the Dots line in their athletic shoes. They have several styles to choose from ranging in different price points. 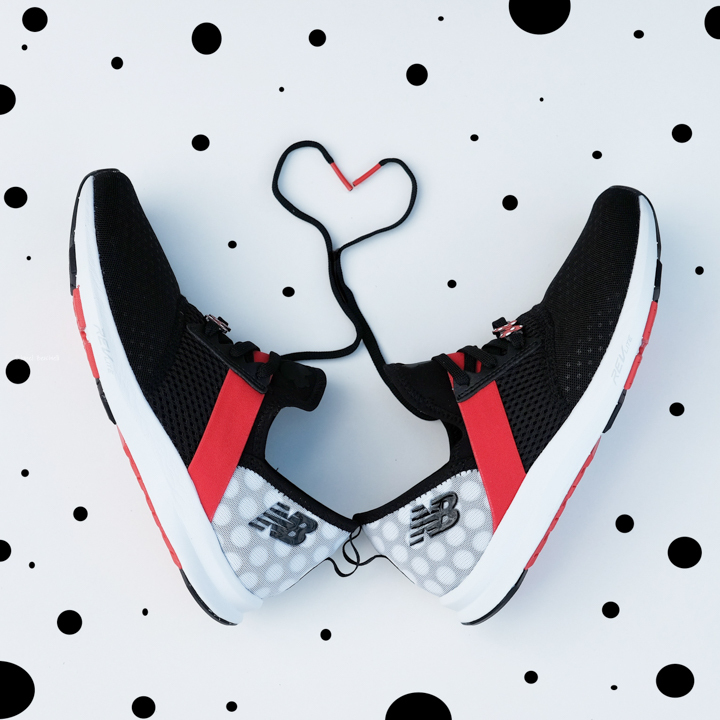 I opted for the New Balance Minnie Rocks the Dots Fuelcore Nergize Cross Training Sneakers (WXNRGv1). This particular style is a slip on shoe, unlike any shoe I’ve ever tried on before. I love the subtle hints of Minnie Mouse in the design. On the lace of each shoe is a charm of Minnie’s classic red bow with white polka dots and on the tongue is an outline of Minnie. And let’s not forget the best part, the back of the shoe are polka dots that are big but not overwhelming. This was my first time trying New Balance shoes and I think I may have just found my new favorite style of sneakers. I’ve only had these shoes for a week but I can honestly say they are comfortable. They have breathable fabric which will be very helpful for those on their feet all day. One thing to keep in mind is that they are a bit narrower towards the heel inside the shoe. I ordered my regular size and width that I wear in other shoes and they fit with no problems. These shoes are decently priced, I ordered from an online retailer Zappos for $74.99 before tax. I think I’m in love with these shoes and I will put them to the test in a couple weeks wearing them all day at Disneyland.